Miners Creek Ranch sits in the heart of the San Juan Mountains of southern Colorado, amidst some of the most breathtaking scenery in the country. 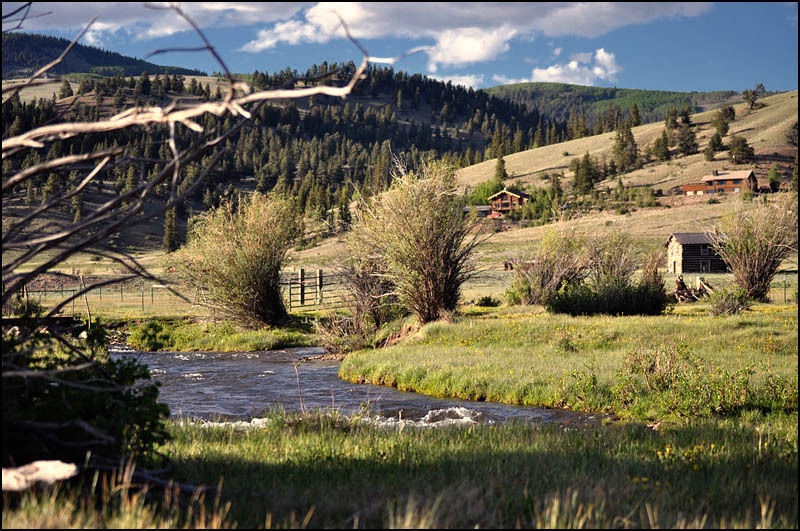 Located in a valley just outside the town of Creede, Miners Creek Ranch offers families the comforts of home with the quintessential Rocky Mountain experience at their fingertips. During their stay, guests enjoy exclusive access to four pristine fishing ponds and 1¼ mile stretch of one of the area’s most exciting trophy trout streams. Fish from sun up to sun down, or go jeeping over some of Colorado’s most scenic and storied mountain passes. Go horseback riding through the Weminuche Wilderness or hike one of the areas 14,000 foot peaks, then return home for a soak in the ranch house hot tub, stretch out in the ten person sauna, or sit on the balcony and take in a panorama of spectacular views. Day 2: head into one of Colorado’s most exciting and attractive tourist towns. A mere three miles from downtown Creede, Miners Creek Ranch is just a thirty minute hike or a five minute drive to classic Rocky Mountain dining and entertainment, as well as an abundance of old west history and shopping. 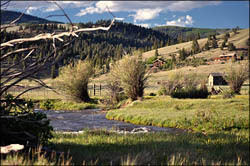 Whether coming for twenty inch trout, wildflowers, or a night of fine dining and theatre, Miner’s Creek Ranch provides the unforgettable mountain vacation. If you’re looking for an affordable, quieter, and more private alternative to the dude ranch experience, book your exclusive vacation at Miner’s Creek Ranch now.